What can we say? This is a perfect fall dish. It's great as a side dish; with the sweet-salty flavors built into it, we're convinced we'll also be happy with it as a main course. This cooks in the oven for close to an hour, but the active preparation time is less than 5 minutes. 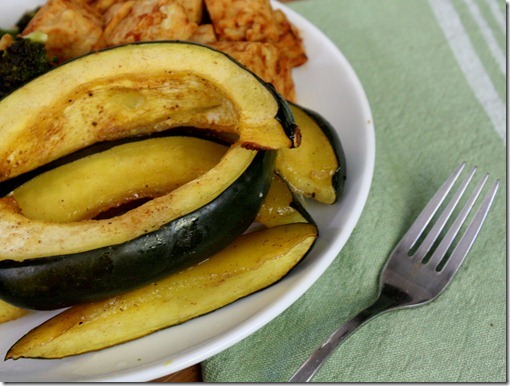 Check out the recipe for Nutmeg Roasted Acorn Squash on The Wannabe Chef.